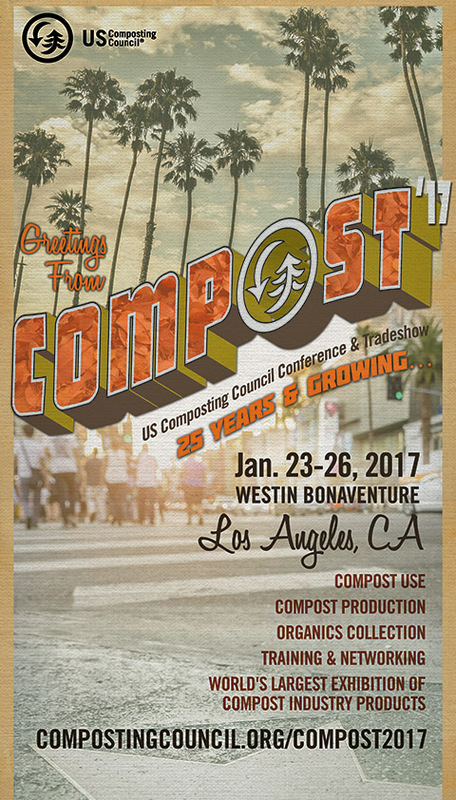 Agromin is a proud sponsor of the U.S. Composting Council's 25th Anniversary Conference & Expo taking place in Los Angeles January 23 through 26, 2017. 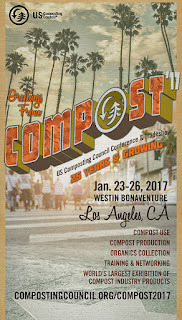 The USCC plays a critical role in compost-related research, training and public education. Agromin's CEO, Bill Camarillo, will be part of two panel discussions at the conference: "How to Overcome Regulatory Fatigue" and "How are Economics Impacted by SSO?--Processing and End Market Perspective." Check out the full schedule and conference program.